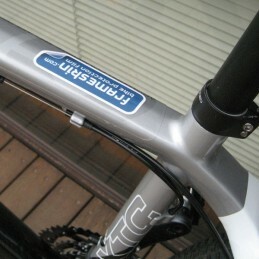 Every bike needs some protection even if no custom frame kit exists. Uncut Frameskin Sheets are the answer, so you can make your own. 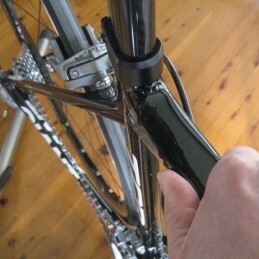 Size it up, cut it out, whack it on... then ride. 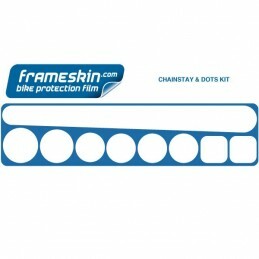 The Frameskin Road Chainstay Kit has one long decal chainstay decal (208mm long) and 8 dots for use pretty much anywhere you get cable rub.. Ride with pride. 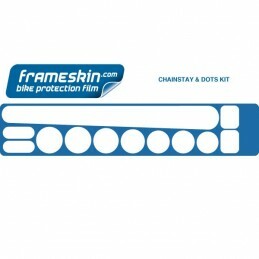 The Frameskin Road Chainstay Kit has one long decal chainstay decal (256mm long) and 10 dots for use pretty much anywhere you get cable rub.. Ride with pride. 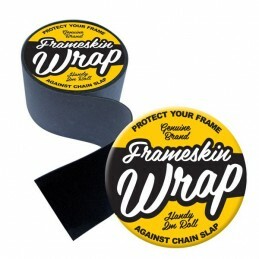 Every bike needs some protection, and the Frameskin Generic Downtube skin protects the area most at risk from rocks and such. 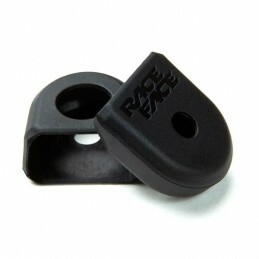 Whack it on there and get out and ride.